How do you keep your brand on message during a changing digital landscape with a company that is more than 100 years old? That’s the question faced by Toni Clayton-Hine, CMO of the Xerox Corporation, every day. One of Toni’s main tasks is managing an evolving brand narrative to a new wave of customers as her company returns to its roots. As the world gets more digital, Xerox is going back to its core products and finding ways to transform its traditional copy machines into systems that manage the entire document experience, both digitally and physically. These days, it’s about more than just making copies, it’s about optimizing the movement of information and what and how information gets printed. Although the company is going back to its roots with a modern twist, the core brand of Xerox is still the same: to innovate how the world communicates, connects, and works. To spread the brand message, Toni relies on a team effort at Xerox. Everyone from the product designer to the tech support representative plays a role in how each customer interacts with the product, and everyone has a role to play in the customer experience. Everything the company does is about putting the customer first. Toni’s marketing team works hard to be present where the audience is present. That means connecting with them in new ways, such as social media, and making sure the information is available any place a customer wants to consume it. In today’s sometimes complicated digital landscape, Toni uses the approach of engaging with customers wherever is most comfortable to them to get the information out clearly and quickly. There’s also the issue of managing the message to see how well it resonates with customers. Xerox has a large focus of getting its employees out in the field to talk to people who are actually using the products, whether they are re-sellers or end customers. Combined with customer councils, feedback sessions, and surveys, it provides the company with strong feedback to make sure its messaging and methods are effective with customers and that the company isn’t over-promising but not delivering, which could be detrimental to the brand. Staying in near-constant contact with customers also allows the brand to make changes quickly as the digital landscape continues to evolve. Even though times are changing, the overall customer experience is still the same, especially when it comes to Xerox products. The customer experience still includes every touchpoint from early research to buying the product and actually using it. Even though the methods may change, the focus is still on engaging with the customer before, during, and after a sale. There are ways to innovate the process and the products, which Xerox does through its Park division, but the idea of sticking to the core brand and constantly engaging customers stays the same. The customer landscape is no doubt changing, especially due to technology and increased information. 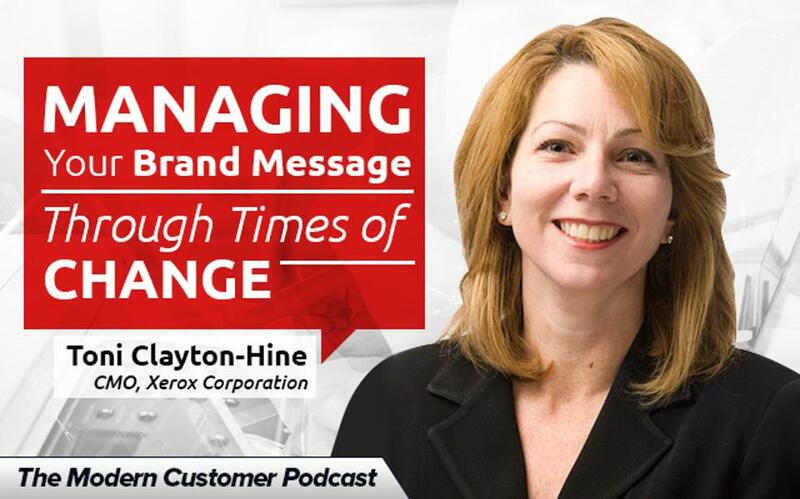 However, by sticking to core principles and looking for ways to reach customers where they already are, brands can join Xerox in having great brand messaging success.